Over time the normal wear and tear of our teeth may appear yellowed or stained. This is due to the intake of dark liquids such as coffee, tea or caffeinated beverages. It may also be due to smoking. 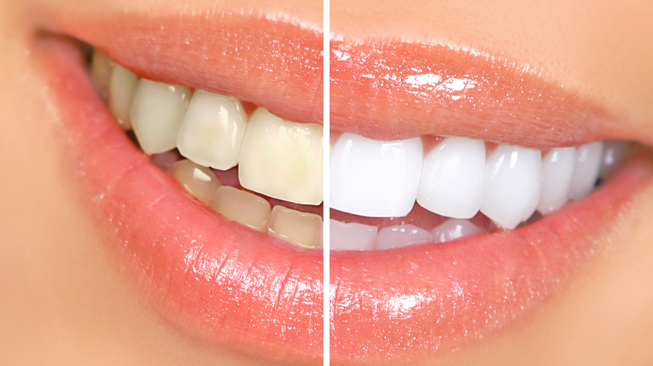 One of the ways to bring your teeth back to their original brightness or even brighter, depending on your unique situation is with inexpensive professional teeth whitening. By choosing professional teeth whitening over traditional home whitening kits, you will save not only money, but receive your results in one visit. Whitening kits require you to continuously use the strips until you reach your desired results. Our teeth whitening process allows us to get perfect impressions of your teeth, and our whitening trays are customized to fit your teeth. Sunset Dental © 2019. All Rights Reserved.